I’ve lived in the Piemonte region of Italy for many years now and it’s become very clear from my point of view, that it’s far easier to live a healthier lifestyle here. One of the major advantages is the good weather of course, this means as a keen cyclist I can get out more which in turn gives me a great feel good factor. I’ve noticed that in almost all of the villages here, you find great outdoor sport facilities, all with floodlights so you can play long into the night if you so desire. In fact during summer you see many Italians playing football way past midnight. It’s no wonder Italy is so good at the sport. Most villages have outdoor swimming pools which serve as great entertainment for the kids during the summer break. All these pools have somewhere to eat so you can spend the whole day there and get fit at the same time. 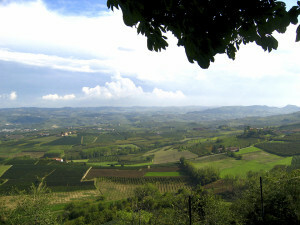 This entry was posted in News, Piedmont region and tagged Italy, Lifestyle, Slowfood on Wednesday March 13th, 2013 by Clive Wisbey.